Challenger tractor related frequently asked questions and answers are found below. We hope that you will find the answer to your question about Challenger used tractors, whether it be regarding the purchase of a used Challenger, or technical information on the specification, or where you can buy parts online for Challenger used tracked tractors. If you don't find the information about Challenger tracked tractors you want below, please contact us and we will pleased to assist you with the information that you require. If you are interested in buying a used Challenger from Chandlers then there are a number of things that you may want to know, while you are considering your purchase. We hope that you will find this page useful with a range to frequently asked questions about Challenger used tracked tractors. However this list is far from comprehensive and if you do not find what you are looking for, please contact us as we will be pleased to help. Do Chandlers also supply new Challenger tracked tractors ? I am not based close to a Chandlers depot, can I buy a used Challenger from Chandlers ? How is shipping arranged on supply of used Challenger tractors ? 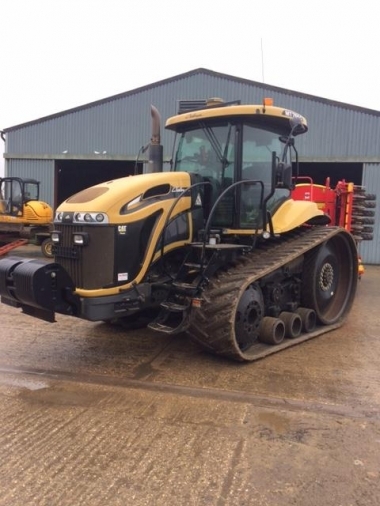 Why should I buy a used Challenger tracked tractor rather than an equivalent size wheeled tractor ? Where can I buy genuine AGCO Challenger parts for my Challenger ? 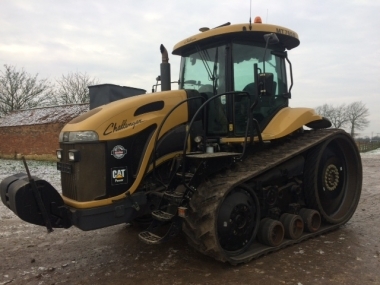 Chandlers are main AGCO dealers for Challenger MT series tracked tractors (and have been since 2002), and supply both new and used Challenger tracked tractors. The vast majority of Challenger tractors for sale on the website will have a full Chandlers service history, having been supplied new by Chandlers, so we can supply used Challenger tractors confident that they have been maintained according the manufacturers service schedule, leading to a long and trouble free life. Chandlers are pleased to supply both local, national and international customers with good quality used Challenger tractors, whether retail to the end user or in the trade. With a large quantity of local Challenger customers, Chandlers are well placed to source you the good used Challenger tractor that you are looking for even if we do not currently have the ideal machine listed for sale. Shipping and haulage on the supply of used Challenger tractors is usually handled in our local area on our fleet of low loader HGV lorries. If you are an overseas customer, or further afield in the UK, then we can arrange haulage at competitive rates with a range of local haulage companies and shipping agents that we have used reliably for many years. 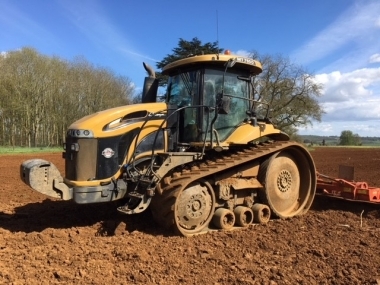 Challenger tracked tractors have not only proven the be extremely reliable machines, but the benefits of tracked tractors with low ground pressure on all important soil structure can't be overstated. Challenger tracked tractors have proven to be particularly popular in root crop and vegetable farming operations where soil compaction is perhaps at it's most noticeable, however the benefits of low ground-pressure is true in all farming applications. Check out our testimonials page for what our customers say about running a Challenger tractor rather than wheels. Chandlers have a dedicated website for the online supply of genuine AGCO Challenger parts. Visit www.challenger-parts.co.uk for quick and easy purchase at competitive prices of Challenger parts and merchandise. Chandlers have every single UK spec Challenger part listed on the website, you can search by part number, or look at the online Challenger parts manuals to select the parts you require. If you prefer to speak to one our experienced parts team, then they will be pleased to assist you with your enquiry. Chandlers have a large parts warehouse for the next day dispatch of genuine AGCO Challenger parts, and look forward to being of assistance.